The Borough of Harvey Cedars dates back to a 1751 deed that describes the town as "a hammock and clump of cedars called Harvest Quarters." It is said that the name "Harvest Quarters" was blended by the sound of the language and eventually became "Harvey Cedars." The Harvey Cedars Hotel, which opened in 1850, was a summer resort that hosted fishermen and hunters. The success of the resort led to many visitors building summer homes in town. In 1884, Harvey Cedars began to develop itself as a summer destination. Harvey Cedars, which was formally incorporated on Dec. 11, 1894, is one of six municipalities on Long Beach Island. According to the 2010 Census, Harvey Cedars is home to 337 people. Harvey Cedars' population swells to about 12,000 in the summer months, according to the local police. Yes, badges are required on all Harvey Cedars beaches. Beginning June 25, tags must be worn by all beachgoers 12 years of age and older for the 2016 season. Seasonal badges can be purchased at the beach badge booth in Sunset Park starting June 25. Daily and weekly badges can be purchased on the beach from a badge checker. All active military members and their dependents are eligible for free beach tags with a valid military status identification card. Veterans will also be provided with free tags with acceptable proof of an honorable discharge. Seasonal beach tags cost $40. A preseason rate is available now through June 25 for $30 by completing this form. Senior badges, which are available for anyone 65 and older with proof of age, cost $9. During beach season, weekly badges will cost $20 and daily badges will cost $6. 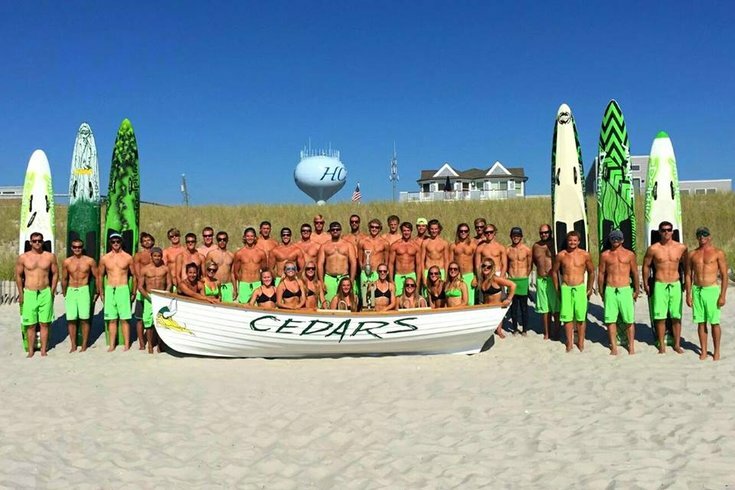 The Harvey Cedars Beach Patrol will employ a full-time crew of lifeguards from June 18 until Labor Day (Sept. 5) from 10 a.m. to 5 p.m.
Lifeguards will be stationed at 86th Street, 83rd Street, 80th Street, 77th Street, 73rd Street, 69th Street, Middlesex Avenue, Atlantic Avenue, Hudson Avenue, Cape May Avenue, Cumberland Avenue, Bergen Avenue South and Bay Beach at West 75th Street. Dogs are not permitted on the beach between May 30 and Sept. 15. The rule does not apply to service dogs. Swimming is permitted at guarded beaches and swimmers must remain between posted flags. No one is permitted on the beach between midnight and 6 a.m.
Harvey Cedars beach offers free parking on all streets. There is also a parking area at Sunset Park located on West Salem Avenue. Ocean County Tourism website | Harvey Cedars Municipal website | To request additional travel information, click here.